This late 1970’s Heuer chronograph is one of the last ones with what we feel is true Heuer DNA (before the company TAG bought Heuer in 1985 and changed the name to TAG Heuer). 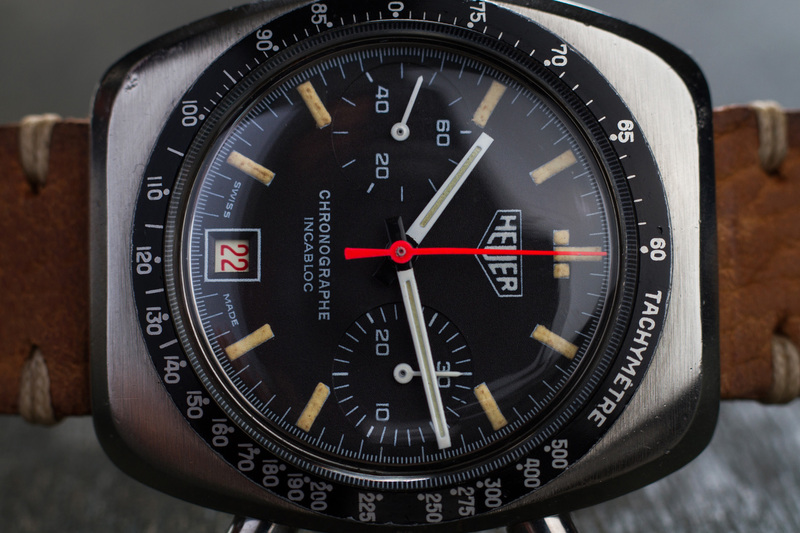 This Chronograph with its so called Big Logo Dial was produced in 1979 and is only known as the Heuer 3006 – no model name on this one. 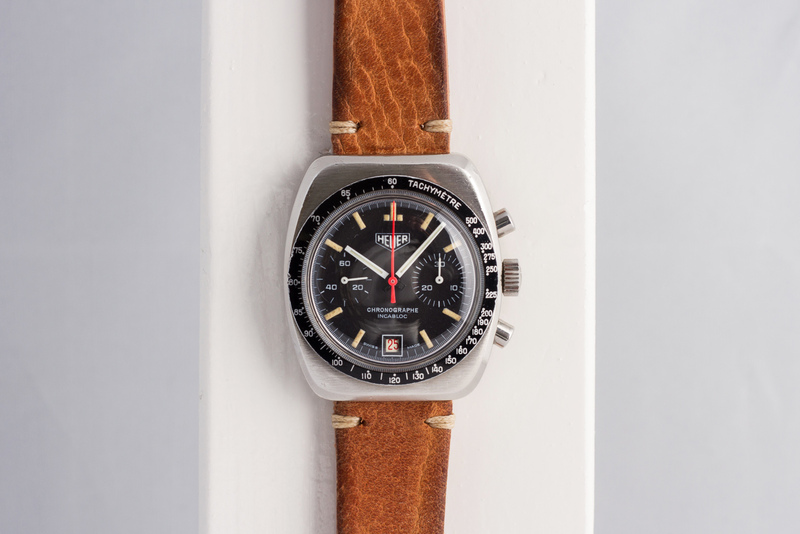 There is not much information on this Heuer, apart from the fact that there are some German catalogs going around wherein this 3006 is shown and mentioned, but besides that, not much else is known. 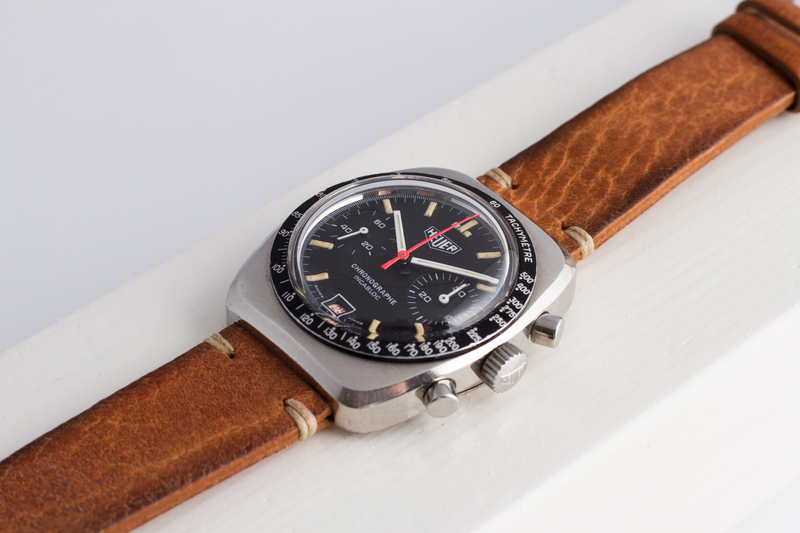 The good thing is, this Heuer is still in its original condition and ticks all the boxes when it comes to a vintage watch. It has wonderful creamy patina on the hour markers and on the hands, the original and slightly discolored chronograph counter-hand changed color throughout the years (from red to pink-ish). The valjoux 7734 movement still has the correct red date-wheel while the matte black dial is spotless and the watch is still fitted with the original Heuer crown and chronograph pushers. 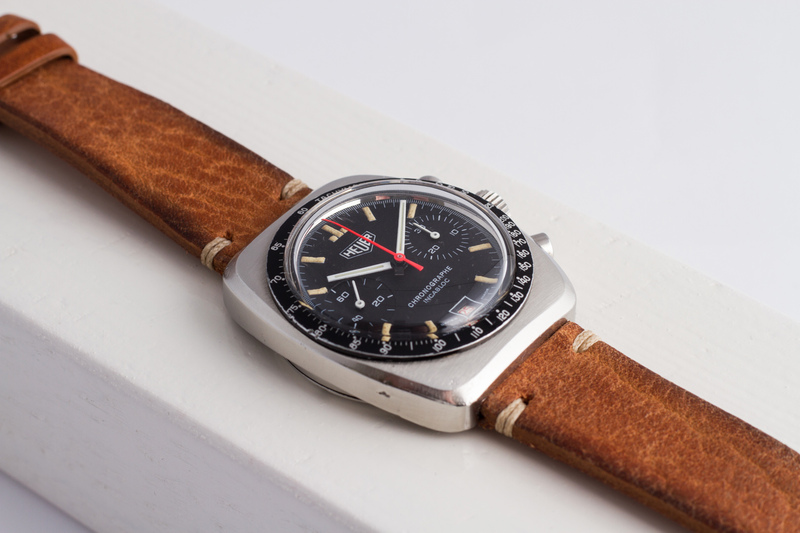 Oh, and it has a black Tachymetre bezel – What’s not to like!? The entire watch and it’s Valjoux movement have been fully checked by our watchmakers, this ’79 Heuer Chronograph is running like a champ and will be sold with a 12 month warranty.